It seems like there is a whole contingent of bloggers who like taking pictures of the sky. I love looking at the sky. One of the best things about living in Kansas is the big open sky. 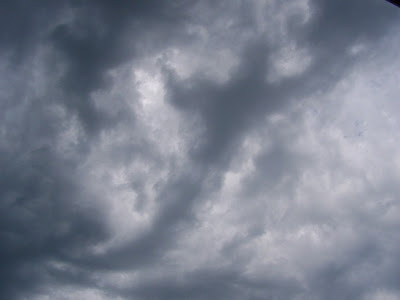 Last summer as I was walking to school, the atmosphere was turbulent and storms were brewing. Luckily I had my camera and was able to capture this shot. Situations like this are why I try to carry my camera as often as possible.